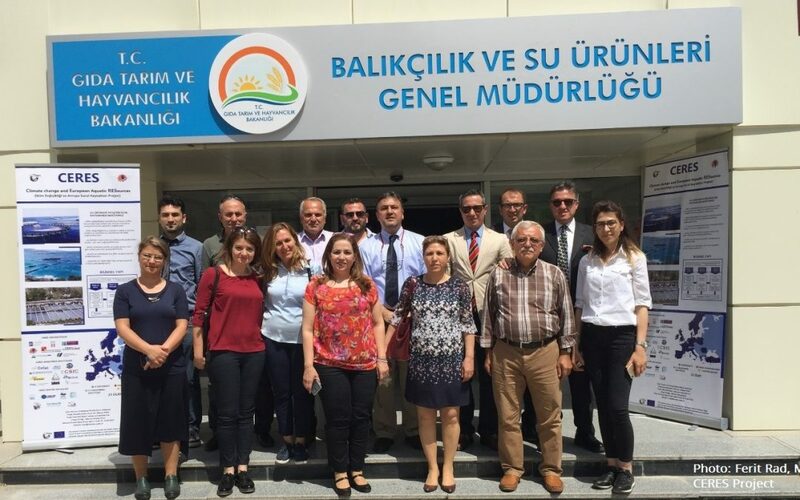 The focus-group meeting for verification of Turkish Typical (Virtual) Sea bass and sea bream and rainbow trout farms data, was held in Ankara on 3rd May 2018 in collaboration with Ministry of Food, Agriculture and Livestock-Directorate of Fisheries and Aquaculture. The objective was to verify and finalize the Turkish Typical farms within the activities for Task 4.2. Typical farms will be used to model and assess the impact of climate change on productivity and economic performance of aquaculture farms. Producers and experts from private and public sectors participated in meeting and did a great job contributing to progress in CERES Task 4.2 “Effects of climate change on farm-level productivity and profitability” and CERES Storyline for sea bass and sea bream and rainbow trout farming in Turkey.